Order your CSI Saddle Pads now! Isn’t it time you own the technologically advanced saddle pad that your friends, horsemanship leaders and top rodeo athletes are using? Sure it is! Get yours now by clicking the button. 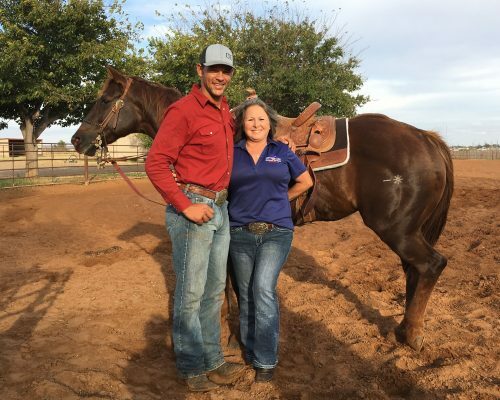 “I was first introduced to CSI Saddle Pads over ten years ago when my son, Jake Rodriguez, became sponsored by CSI. I have ridden horses my whole life either for work on the ranch or for training. I was skeptical of the pad. My horses get ridden for hours at a time. I’ve always used a basic felt pad with another underneath. After riding a CSI saddle pad it is the only pad that I choose to ride. No matter how long you have one saddled or how long you ride, you can always ride your horse again the next day because their back is in the same condition as the first ride.” – Gus Rodriguez, photo at left. Choose your length. We offer 32 and 30 inch lengths on all our saddle pads. Remember, our pads are individually hand made, so the length may vary PLUS each pad is contoured so please take into account that the measurement of 32 or 30 inches is at the wear leather, not the backstrap. Choose your liner thickness. The CSI Saddle Pad is a two-layer system. The inside layer velcros out for easy replacement and cleaning. This layer acts as the shock absorber. Choose a 3/4 inch for most horses, trail riding, roping, ranching and general purpose. Choose 1/2 inch for mutton withered, round backed or horses from 6 to 12 years old with a good fitting saddle. Choose your pads shape. The CSI Saddle Pad comes in square, round, sport and showcut shapes. Choose the one that fits your specific needs the best. The Flex-plate is the same in all the shapes, so don’t worry, you really can’t make a mistake here. Choose your pad color and wear leathers. This is the fun part! Choose from five base colors (brown, gray, tan, black, blue, and green). Then add standard wear leathers or customize your pad with tooling, inlays or laser engraving. 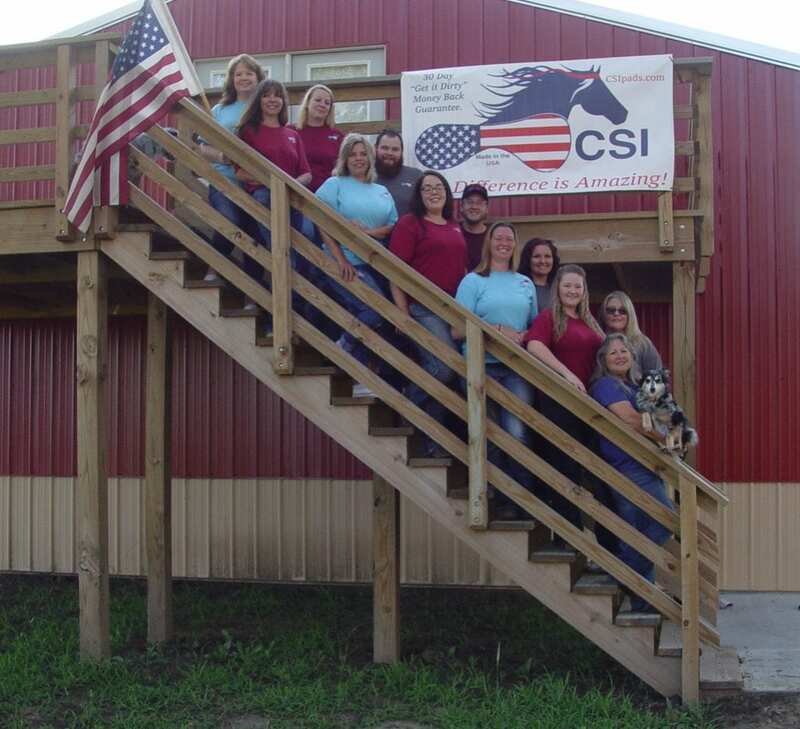 The CSI Saddle Pad is manufactured in the USA — right in the heartland of Missouri. Our team takes pride in the product they produce. These smiling faces are the ones who make the CSI Saddle Pad the best pad available today. 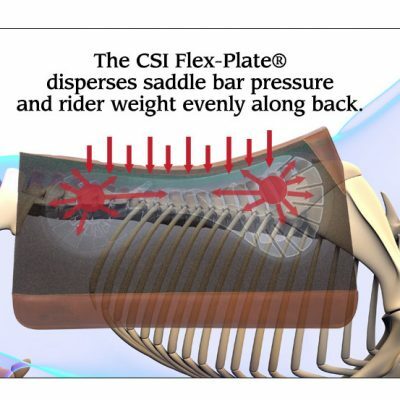 CSI Saddle Pads is committed to educating horse owners on better saddle fit. It is our mission to make sure you and your horse both enjoy riding — but that’s not possible when your horse is uncomfortable or in pain. That’s why we created the CSI Saddle Pad. We also know to fulfill our mission, we need to do MORE than just manufacture a saddle pad. Educating and communicating with our customers and the horse community about good saddle fit is something we take very seriously. 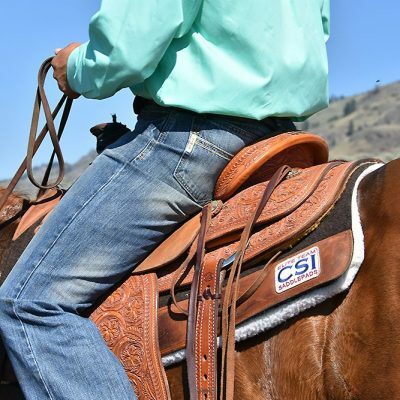 CSI Saddle Pads are trusted by top rodeo athletes, competitors, performers, clinicians and trainers because these industry professionals know how important it is to keep their equine partners healthy, comfortable and performing at the top of their game. The CSI saddle pad is truly unique. Don’t be fooled by the knock-offs. Increases range of motion and overall performance. Keeps you safer because your horse is more willing and comfortable. Fewer chiropractic and massage therapy visits. 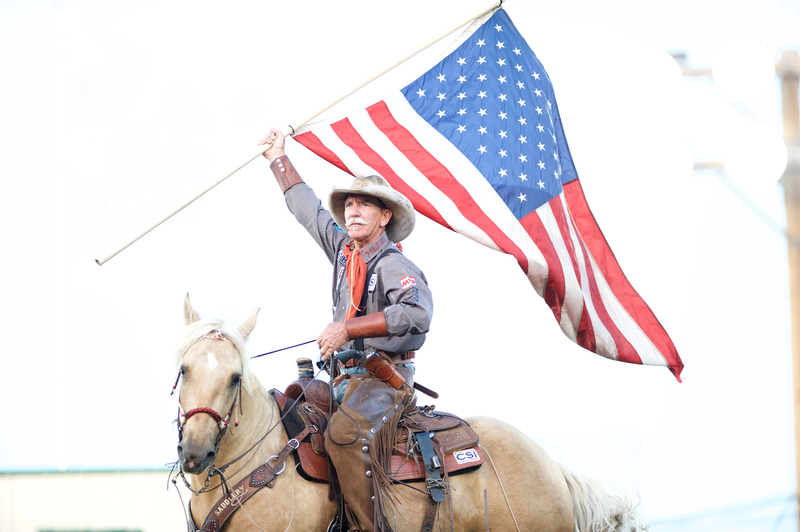 The CSI Saddle Pad has been proven on the ranch, on the trail, in the arena and at the rodeo. It is trusted and ridden by top clinicians and competitors. It really is all about the horse. 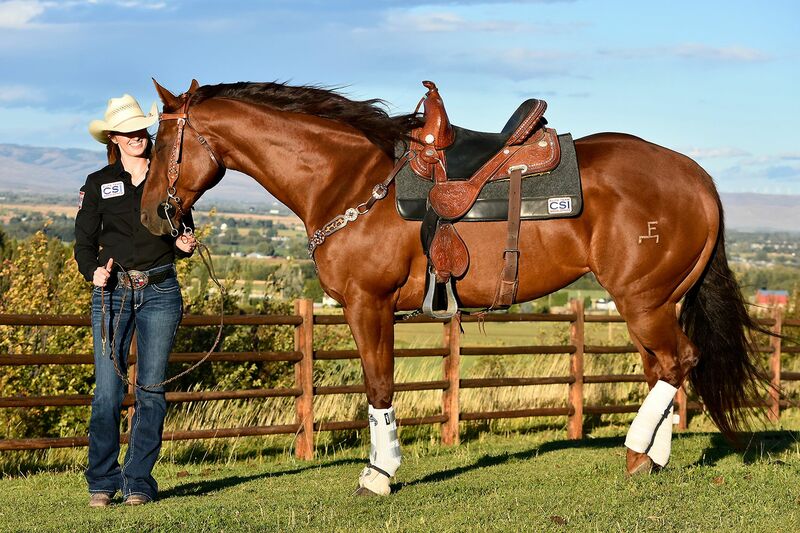 The CSI Saddle Pad is known for it’s ability to help competitive horses achieve maximum performance and it is also perfect for keeping your best friend trail horse comfortable and safe. Every horse — regardless of discipline, breed, age or conformation — can benefit from the CSI Saddle Pad. It was designed by horse people for horses. The CSI Saddle Pad was made to last because we know that owning horses can be an expense. The average lifespan of the outer pad with the CSI Flex-Plate is over 10 years and our reversible liners average three years between replacements.